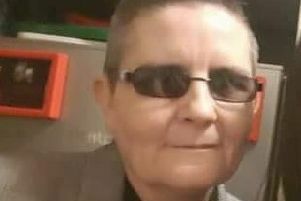 A Skegness pub cleaner with no ‘recent record of offending’, stole more than £2,000 from her employers in what was described by her solicitor as a ‘moment of madness’. Clare Tollerton, 37, of Henshall Flats, Roman Bank, Skegness, admitted stealing the money from her employer Paula Gillison of the Marine Boathouse in Lumley Road, when she appeared at Boston Magistrates Court. Prosecuting, Nick Todd said Tollerton was a cleaner at the pub and on her 6.15am shift on September 5, she went to the manager’s office, took the key to the safe and removed the takings, totalling £2,300. He said she came in to work the next day but then left and didn’t reappear. He said the money was found to be missing and an examination of the cctv recordings showed Tollerton taking it. Mr Todd said she was arrested and admitted the offence, saying it was ‘a silly thing to do’ but unable to give any real explanation. He said Tollerton had had a ‘moment of madness’ as she had ‘no issues with drugs, alcohol or debt’ and had ‘no record of recent offending’. He said she had £700 in her bank account she could repay immediately and another £220 of her wages had been retained by her former employer. “It was a foolish spur of the moment act,” he said. The magistrates said it was a ‘serious breach of trust’ and ordered her to carry out 10 days of rehabilitation and 220 hours of unpaid work for the community. She was also ordered to pay £2,080 in compensation, £700 of it to be paid within 28 days, and £170 in costs and charges.